A glorious outdoor garden wedding venue since 1993. ​and the Country House Wedding Venues network. 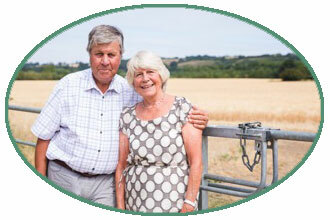 Sacha & Chris have been hosting weddings at their family home, Brewerstreet Farmhouse, since 1993. From the 1920s until the year 2000 the family ran a successful dairy farm at Brewerstreet Farmhouse. In 2000 Chris and Sacha decided to focus efforts on the weddings business. Chris & Sacha operate as a partnership, "CJ & MA French". Read more about the history of the farm here. ​With so many years of experience, they will put you totally at ease, completely taking away the stress and ensure that you enjoy your time at Brewerstreet Farmhouse.